I'm just getting starting...finishing the first chapter but already I'm thoroughly enjoying it. I love that she writes in "plain and simple" language, easily understood, and that she is sharing experiences that we all from time to time share. Helps me, certainly, to already see a new perspective. Looking forward to getting through to the end and coming out with a brighter outlook on life and all that it holds. This is a fantastic book! I have been following Michelle's blog for years and I'm so excited to see her creative style in print!! I love the way Michelle shares her message and how she weaves truth and humor into each of her experiences and stories :) She is a master story teller, which allows me to instantly feel part of her journey while still feeling the healing power of her message. I can't wait for more publications from Michelle Wilson!! I don't spend much of my reading time on non-fiction since more often than not reading non-fiction feels like a bit of a chore. 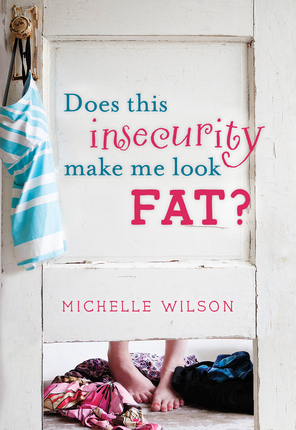 But, when I was given the opportunity to review Michelle Wilson's new book, Does This Insecurity Make Me Look Fat?, I decided it would be a good book to start the new year. I've had a lot of changes in my life over the past year, and some of the effects have manifested themselves physically. Quite bluntly, I've gained weight and am not happy with larger clothing sizes and what hides beneath (although I am very grateful for clothing and its hiding capabilities). Feeling the "weight" of this new insecurity, I thought this book would be a good way to help me feel better about myself. I can't say that any of the concepts Michelle addresses are new, although sometimes it's good to hear what you know, but haven't been thinking about. I really appreciated the humor and personal stories that Michelle included throughout the book to drive her points home. 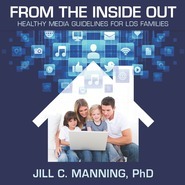 A main focus of this book is perspective, and looking at ourselves as our Heavenly Father sees us. Too often we set our own expectations too high, and we beat ourselves up about not meeting these expectations. One of my favorite quotes came in a section about guilt. "The laundry doesn't cry when it doesn't get folded. Neither should you." I also really enjoyed the elevator analogy that reminded us that Heavenly Father doesn't give us more than we can handle-He helps us through those hard times in our lives. Michelle's thought about importance also stood out to me. "I do not have to be somebody 'important' to do important things. I simply have to be me and do what He asks of me." "Through the power of the Atonement of Jesus Christ, we may choose the paths we take and the people we want to be." "As you exercise more faith in yourself and in Him, you will be amazed at the things He will accomplish in you and through you." None of what I read is a direct tip on finding more energy after I get home from work, and making better choices in what I eat, but Michelle's reminders help me know that what I see in the mirror isn't as important as what I am inside. Heavenly Father doesn't think I'm worth less because I went up a pant size. He loves me, and is always there for me. Whatever issues might be causing you to feel insecure, there is hope. And, you are better than you think you are! I love how Michelle is able to share stories about herself so that you can really get to know her and see examples of what she means. And she is so funny! I wish I could meet her in real life! She is so great at expressing how many women feel about one thing or another. I think all women can identify with at least one thing she talks about and probably more than one - feeling sorry for ourselves, needing the approval of others, comparing ourselves to others, being afraid, being envious, doubting ourselves, feeling guilt, or feeling shame. But she takes all of these things we can sometimes feel and tells us why we don't need to feel that way; why we shouldn't judge ourselves by how the world sees us, but by how God sees us. Michelle dives into what God expects of us and how to build a better relationship with Him. "We are responsible for who we are and who we will become. It might be a scary notion, but it's also an exciting one. We can--and should--decide who and what we are and will be and and how happy we will be (111)." I think this is a great book for all women to read because we can all be a little more confident and we all have things we need to improve on. But as Michelle points out, God doesn't expect us to be perfect and He doesn't expect us to change all at once. Free review copy provided in exchange for an honest review. This book was for me. I was already bawling by page ten! I was in tears intermittently throughout the book because I'm going through some insecurities now and therefore could relate to the anxieties the author illustrated. Plus, the scriptural references had me feeling loved and understood so the water works of comfort came easily. I was reminded that life throws each of us a variety of Enemies of Perspective (false reality) but having the right Perspective (way God views things) to combat them makes for a winning day. This book equipped me with the tools to remember God's eternal perspective (the bigger picture) and how to daily apply it to my life. Ms. Wilson had chock-full of personal examples that provided great analogy to make a point. After all, analogies are the modern day parables. It's a fantastic way to grasp a concept being presented. It's scary how some of them described me to the T! It seems like I've found my spiritual twin. But in seriousness, the big take out for me was that Heavenly Father is truly at my side championing for my success in my life. That understanding inspires me to be confident and with a twist to the title, I can instead ask, "Does this confidence make me look magnificent?". Geared to women but the principles can apply to any that may feel insecure. I highly recommend this book to those wanting or needing to be uplifted. Ms. Wilson has a pulsing way of bringing to remembrance the power of God's love of hope and faith in each of us. You will see yourselves in her words and then you will find peace in God's. Thank you Ms. Wilson for this splendid book. It is helping me. Michelle Wilson's new book is full of spark. Her insights are on target and she arms women to combat the negativity around us. I love her honest narrative and witty anecdotes that teach great principles that all women need to embrace to kick insecurity to the curb. Does This Insecurity Make Me Look Fat? 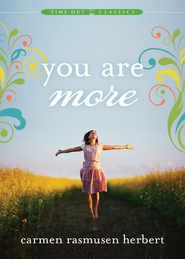 is an inspiring book that will help you see yourself as God sees you and that is what matters most. There are so many freeing concepts in this book that have helped me change my perspective and remember what my true purpose is in life. I'm ready to embrace this new year and put Michelle's training to work increase my personal happiness. 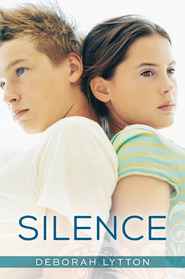 Every LDS woman should read this book! Sometimes you read a book that leaves a permanent mark on your brain and your soul. This was that kind of book for me. This is a non-fiction book, religious in nature, full of inspiration, good advice and the pep talk that can get you through life's challenges. This book is geared mostly to the LDS audience, but I do believe that women of any faith would be better for reading this book. I love that the author brought real experiences and limitations to life with humor in this all inspiring book! I found myself dog-earring pages to remind myself that other people go through the same things - and through our Father in Heaven, anything is possible! Thank you Michelle for bringing this to the world! Look at yourself through Gods eyes! Michelle is a master at taking complex Gospel truths and making them simple and profound. And entertaining! With a message that is ALWAYS needed reminding of, this book will help put things back in focus and give you the Gospel perspective on life, which is the most meaningful, satisfying and inspiring of all. This was a feel-good book in a lasting way. Michelle is a very real person with a very real message. Great stories and great humor and great insights into a very common problem among women in particular. Loved it! An empowering reminder of how our perspective changes everything! Michelle's humor and personal experiences make this a very fun yet inspirational read. We can all relate to her candor on the journey of womanhood and the insecurities we incorrectly sabotage ourselves with. She refocuses our thinking with her spiritual insights. You will laugh. You will cry. Most importantly you'll walk away with a new found confidence as you realign your personal perspective in a more productive & useful way. Use a highlighter!